Description Class of students at Lake Grove School. 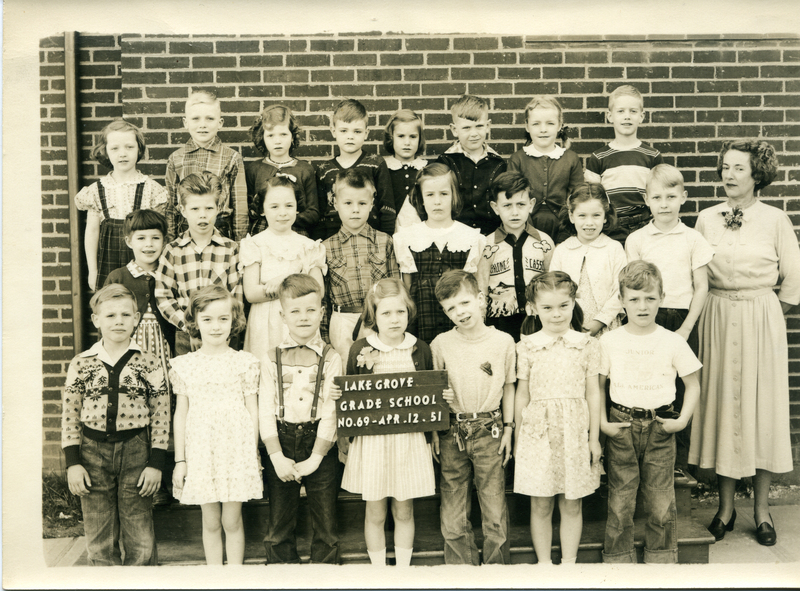 First Grade class. Photo courtesy of Pamela Berentson. Her husband David is in the class photo. He is all the way to the right in the top row (wearing striped shirt).